Creating great content for your subscribers and readers, (and the search engines) is one of the most important things you can do to be successful with your blog or website. It may not be the most important though… One of the other major components is the “Call To Action” or the “Opportunity To Connect” At the end of the day, aren’t you trying to “connect” with your target audience? I have discovered that if your great content cultivates eyeballs and traffic, but you have no way to capture and convert those inquiring visitors, then not all but much is lost. That’s why I want to share these Top 5 contact Widgets and tools. I’ve researched and used these and know they can increase your chances or at least the potential of capturing connecting with those whom you’re trying to reach. Google voice allows visitors to contact you over the phone and for FREE. 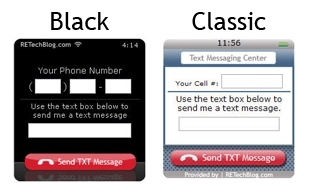 If yo miss their call, the message is conveniently converted to text and sent to your mobile device via email provided you set it up that way. The voicemail recordings can be forwarded quickly to expedite specific requests, and multiple phone lines can all lead into one easy to use FREE phone number. I Love Google voice. RETechBlog has one of the greatest text widgets I’ve ever seen. This allows your readers to text you right from the sidebar of yor Blog or website. Heck, you can place this little widget just about anywhere and start receiving text messages before you even save it to your site. When I had this installed on my AR Blog, the first day I recieved hundreds of text messages from members and had to take it down. Now chat might seem a thing of the past to some of you, but having access to a real person when you need one can be priceless. The larger companies online these days offer this service to their customers because they know the importance of getting their clients the answers they need in a more than just timely manner. Customers want it NOW, and they want it from experienced and real people. 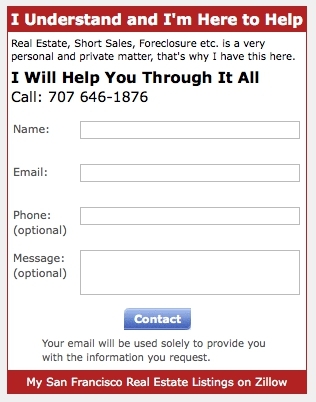 Zillow’s “Contact Me” form can be totally customized and personalized to tap into your target or niche audiences’ needs. Try adding a bit of emotion or something that truly creates a significant call to action, something that your reader can really relate to and you’ll be surprised how often this old fashioned but classic form of contact will work for them and for you. Now this one is a little tricky but VERY cool. 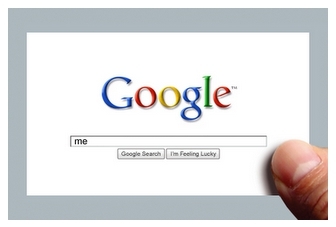 Google me is simply a link to any graphic or image that intrigues your reader enough to click on the image. Everything else happens automatically. There is a site known as “Let Me Google That For You” which you’ll find at LMGTFY.com. Just type in your name or specific keywords where you show up at the top of Google, and watch the magic work. This also is useful when you don’t want your competition to show up anywhere on the Google search results page. Go ahead, click on the card above and see what happens?? ?